With your help we’ll gather 1000 young minds in 1 place for more than a week, we’ll allow them to speak up and come up with solutions to global issues in cooperation with companies, government & NGOs. thank you very much for your support, it means the world to us and it significantly helps us make our dream of International Congress come true! Together we’ve managed to raise 5970 EUR in 45 days! It’s a great honour to have such supporters as you. It is also a great responsibility to do the best we can, so that we don’t let down your faith in us. To all those who donated 5 EUR or more, please go to: http://goo.gl/forms/zYFzfFGCe4BYnqpe2 to tell us how you’re going to receive your reward! We’ve approached you via email, but in case you missed it, please do it now. We have 3,5 hours to gather 5000 euro, please help us make it by encouraging your friends to support us in these very last hours! we have 4 days left till the end of the campaign and we’ve just reached 20% of our goal. In order to receive this money and be able to give you the rewards you chose we need to reach the goal of 5000 EUR. You can help us greatly in reaching the goal by asking your friends and colleagues to support this initiative. Tell them how important this event is for the future of Poland, for the future of the world, and for all young people. Share it on facebook, on linkedin, talk about it on the street, in the cafes, on messangers, on the phone and even when you sleep. If we mobilize in these last hours, we’ll make this Congress unforgettable for the delegates, for the virtual delegates and all the stakeholders. We’ll prove that young people can organise great events, influence the decision-makers, and solve the current global issues. Be with us till the end and we’ll make it! Once we reach 1000 EUR – seven members of our team will be drenched with water in public, in front of the Palace of Culture and Science in Warsaw! Once we reach 2000 EUR – we’ll film a short video in Centrum in Warsaw with questions to pedestrians about what Poland needs at the moment, what they wish for Poland and whether they think IC will make these wishes come true or not! Once we reach 3000 EUR – Magda and Katarzyna will cut their hair by half and tell us why it’s worth to make hard decisions! Once we reach 4000 EUR – we’ll come to work and back home by bicycles dressed as animals, we’ll work in those suits as well. We’ll also film a short video about why sustainable growth is a «hot topic» and why it deserves much more attention! Once we reach 5000 EUR- Kornelia will have our logo tattooed! No matter how much you donate, you can leave us your picture and a short message to IC delegates and organisers! Your message will be passed to them at the beginning of IC. You can tell them why you support them, what you wish for the delegates to achieve during the Congress, what you wish Poland to become after the Congress or anything you want! If you attach your photo it will then become a part of the great poster at OSSA Congress&SPA, the venue of the Congress. The poster will include pictures of those who donated some money to support us along with a message «We believe in the power of youth»! Please, take this chance! This project ended successfully on 29/4/2016 18:00! Your name will appear on the list of «Backers» on our website! Your name will appear on the list of «Backers» on our website and you’ll receive an IC bracelet (to be collected in Warsaw)! Your name will appear on the list of «Backers» on our website and you’ll receive 5 IC stickers (to be collected in Warsaw)! 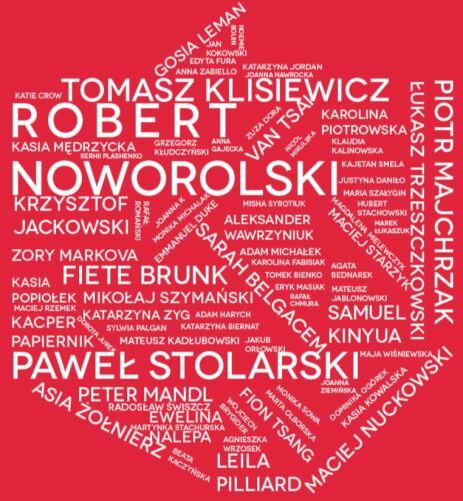 Your name will appear on the list of «Backers» on our website and you’ll receive a unique IC t-shirt (to be collected in Warsaw)! Besides appearing on the «Backers» list on our website, you’ll receive a customised personal video summing up the Congress thanking you for your support. Your name will appear on the list of «Backers» on our website and you’ll receive a whole pack of unique IC gadgets: a t-shirt, a bracelet, 5 stickers and a bag (to be collected in Warsaw)! You’ll receive both a customised personal video summing up the Congress with thanks and a pack of gadgets including: a t-shirt, a bracelet, 5 stickers and a bag. You’ll also appear on «Backers» list, of course! You’ll receive an exclusive invitation for Opening Ceremony of AIESEC International Congress 2016 in Teatr Wielki – National Opera on the 14th of August 2016 at 12 PM. You’ll appear on our «backers» list on our website as well, of course! You’ll receive an exclusive double invitation for Opening Ceremony of AIESEC International Congress 2016 in Teatr Wielki – National Opera on the 14th of August 2016 at 12 PM. Besides this, you’ll be invited for an exclusive dinner with 7 members of Congress Committee Core Team: Magda, Kornelia, Aleksandra, Katarzyna, Adrian, Wojciech and Jakub! 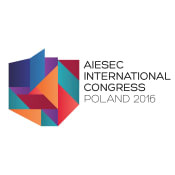 AIESEC International Congress is the annual meeting of young leaders from 126 countries of the world. AIESECers meet to discuss global issues and youth’s role in responding to them. This year Congress will take place in Poland gathering 1000 young delegates as well as representatives of the government, NGOs, global and local businesses, United Nations’ Youth Envoy, AIESEC Alumni and other guests.